Fifth Wheel RV Sliding Hitch... do you need one? The following question was originally posted on the RVbasics Discussion List. I am new to 5th Wheel hauling. My question is, I have a 2006 GMC 2500HD Crew Cab Truck with a 6ft 6in box and would like to know if I need a sliding fifth wheel hitch for the 5th wheel I have ordered. My concern is, with a standard fifth wheel hitch I cannot turn to 90 Degrees without hitting the corner of the Truck Cab. Answer: It depends on your pin box setup. If the pin box is under the body of the 5th wheel trailer your turning is limited. With a short bed pickup truck the bed is 6 feet 6 inches long. Roughly half of that is 3 feet 3 inches. The fifth wheel trailer is either 8 or 8.5 feet wide. Half of the trailer width is 4 feet or more. Doing the math says no way to do 90 degree turns. A thirteen inch pin box extension adapter puts the pin out from under some 5th wheels. It won't allow 90 degree turns but will give you more room for turns. Probably about 80 degrees. Answer: I think the 90 degree turn worry is overrated. You don't see many jack knife turns. I have a Reese manual slider which I bought for a good price before I got my rig put together. These manual sliders are much cheaper and for most people would suffice for the few times you might need it. Mostly the slider will make you more comfortable by keeping the trailer farther away from the truck. When you get into the campground (at the office) you pull the slider. After you come out of the office, you hold the brake controller and pull the truck forward. Leave it in that position until leaving the campground. If it was easy to get into your site then reset the slide to the front position. Watch out for other clearance restrictions. If your trailer is level when on the hitch your clearance is usually less than a foot. Many 5th wheels have front damage because they hit the tool box mounted in the bed. If you want a box get one that does not mount on the rails. Another clearance problem is with box rails. Answer: SuperGlide is the only way to go with a short bed pickup. We have a 34 foot rig and started with a manual slide hitch. After one trip I sold that one and bought the SuperGlide. Very much worth the $2200! Look at the video on their web site. Answer: I have a slider that, so far, I haven't needed. But if I do get into a situation where I'll need the slider I’m set. My truck is a 2002 Dodge 1500 Quad Cab with the short box, and I pull a 1991 Fleetwood Wilderness 26 5N with it. Answer: Okay, I know there may be good reasons for buying a short bed truck but the best way to avoid all the problems associated with a short bed truck is not to buy one. Consider the need for one carefully. Also, before using a pin box extension consider that it will create a lot of leverage on the frame that that it may not have been engineered to handle. Check with the manufacturer or a qualified RV tech before you buy. Watch this video of an RVer with a short-bed truck who takes a turn just a little too tight. If you look close it appears the trailer crunched the top of the truck cab which stressed and broke the rear window. It could have been worse since there doesn't appear to be any serious damage to the fifth wheel. 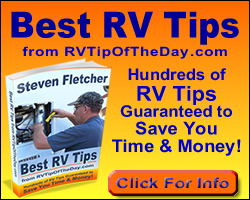 You may also want to read: A basic Checklist for Hitching and Unhitching an RV Fifth Wheel Trailer and Dropping a RV Fifth Wheel... It almost happened to me!